Beautifully built and micro pave set, this double halo diamond engagement ring is dreamy. 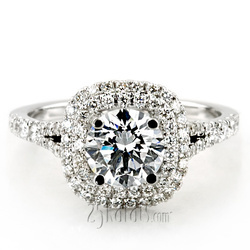 This ring is a fiery frame for your choice of center diamond. 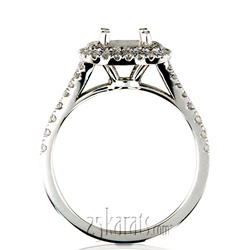 This ring features 3/4 ct. t.w. diamond melees. 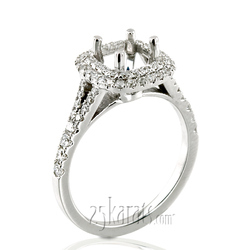 Engagement ring is available in 14k, 18k gold, and platinum.